What’s a Great Way to Say “Thank You” to Representatives Who Support Kansas Teachers? Last week, 73 members of the Kansas House of Representatives voted to restore due process rights to Kansas teachers, sending the bill over to the Senate where it awaits a hearing now. Recent news has revealed that while Kansas teachers are 42nd in the nation in teacher salaries, they are dead last in pay when compared to private sector workers in their own state. For every dollar earned in the private sector in Kansas, a Kansas teacher earns 71 cents. On top of that, the retirement system for new Kansas teachers is significantly worse than that provided in our neighboring states. And then, to add insult to injury, the Kansas Legislative Research Department reported that Kansas is one of only two states in the nation that have no job security measures – such as due process – for teachers. These are three big reasons why Kansas is struggling to find teachers to staff our classrooms and why young Kansans are choosing alternative occupations. So we should be thanking those legislators who are trying to turn this around every chance we get. If your Representative is one of the 73, you can click here to find a thank you note to post on your social media feeds – Facebook, Instagram, Twitter, any and all channels. In Gannon, the Supreme Court found four provisions of SB 19 that violate equity in the school finance formula. Basing LOB funding on the prior year’s LOB. HB 2445 would repeal the first two and make changes to the other two to bring the formula into compliance. The bill provides that LOB increase elections would be subject to protest petition and possible election. Schools for Fair Funding suggested that it would be more equitable to allow LOB increases based solely on a resolution and vote of the school board. The Kansas City, KS schools brought compelling evidence that school districts with a low assessed valuation per pupil have a significantly greater challenge in winning an LOB election than communities with a high AVPP. The bill would base LOB payments on current year levels but would require districts to notify the state by April 1 of their intent to seek a higher LOB. The intent of this provision is to give the state legislature more predictability in funding needs. The bill also would codify into law the current practice in distributing transportation aid on a “curve of best fit.” This was a recommendation of the Legislative Post Audit. The Kansas Policy Institute testified in opposition to the bill but had no alternative ways to meet the Court’s ruling. In fact, when asked by Rep. Steve Huebert (R-Valley Center) asked what Dave Trabert’s advice would be in addressing the Court, Trabert responded that he would tell the Court, “Thank you for your opinion, we’ll take it under advisement.” In other words, just defy the Court and let our schools close. What great advice! The Kansas Supreme Court issued its decision in the Gannon School Finance Lawsuit dealing a blow to the State and ruling that SB 19 is both inadequate and inequitable. “As part of today’s ruling, it was noted that generations of Kansas students have been shortchanged. The Court has made it clear that public education funding is no-longer to be a game of political football.” Mark Farr, Kansas NEA President. While the issue was initially focused on adequacy (there had been a ruling on equity last year), the Legislature made changes to several parts of the school finance formula that created additional equity problems. Changes to at-risk funding that provided that if a district had fewer than 10% of students on free lunch, it would receive funding as if it did have 10%. As our test for measuring equity under Article 6, “School districts must have reasonably equal access to substantially similar educational opportunity through similar tax effort.” Gannon I, 298 Kan. at 1175. 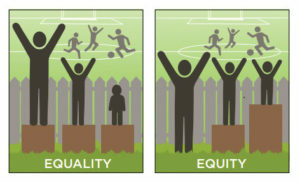 This test does not require that wealth-based disparities between districts be measured under a zero-tolerance test or other mathematically precise standard because “equity [is] not necessarily the equivalent of equality.” Gannon II, 303 Kan. at 710; see Gannon I, 298 Kan. at 1180, 1188. Instead, “[t]o violate Article 6, the disparities . . . must be unreasonable when measured by our test.” 298 Kan. at 1180. On adequacy the Court ruled that the overall funding in the bill was indeed inadequate. The bill provided for a base state aid amount of $4006 in 2017-18, $4128 in 2018-19, and an inflation adjustment in the out-years. The Court declined to give a dollar amount that would meet constitutional muster but did indicate that the base amount provided by the state without creating more reliance on local levies was what was important. The Court has given the Legislature a strict timeline for devising a remedy. No later than April 30, 2018, the parties’ concurrent briefs addressing any legislative remedies of constitutional infirmities will be due in this court. Response briefs will be due May 10, and oral arguments will be conducted on May 22 at 9 a.m. The court’s decision will be communicated by June 30. Exceptions to this schedule will be made to accelerate the deadlines as needed in order to consider earlier remedial legislation—created by special session or otherwise. In other words, the State has time to work but they won’t be permitted to drag things out. The State would help its case by “showing its work.” Gannon II, 303 Kan. at 743. This exercise involves considerably more than what it presented to this court in the instant appeal and in Gannon III. See 304 Kan. at 515. The State should identify other remedies that the legislature considered but, more important to meeting its burden, explain why it made its particular choice for reaching the constitutional standards for adequacy and equity. “Educators have been calling for the Kansas Legislature to fully fund public schools according to the state constitution. Taking a bi-partisan approach to tax policy and school funding is the only way to achieve full constitutional funding for the future.” Mark Farr, Kansas NEA President. As the evening draws to a close, the House Substitute Bill to fix funding equity has been passed by a vote of 116-6 with the Senate following shortly thereafter with only one no vote from Senator Mary Pilcher-Cook. With the passing of this legislation, it appears that a fix which will pass Constitutional muster has been achieved and schools will open as so many in the education community have demanded for many months. As it became clear early today that there were not enough votes in the House to pass out the version of the equity funding fix in HB 2001, there appears to be an effort to craft a new bill. The sticking point in HB 2001 is that it seeks to solve equity by cutting funding from all districts by 0.5%. Many believe the bill will not pass constitutional muster because of this. Support for additional cuts exists only within the most conservative block of representatives. For many months, these same law makers have been touting the need to ensure that more dollars make it into the classroom. Yet HB 2001 takes money from school district operating budgets – from the classroom. The new proposal seeks to address the $38 million dollars needed to fulfill the equity ruling by using funds from other sources to avoid cuts to districts. Specifically, the latest version of the new bill would see the sale of the Kansas Bioscience Authority backfill the funding deficit up to $13 million. Additional sources of revenue would come from the Extraordinary Needs Fund and TANF (Temporary Assistance to Needy Families). View a scan of the full handout distributed in the appropriations committee hearing by clicking here. Education supporters from throughout the state including Kansas NEA have been unwavering in their call to the Legislature to solve the equity issue to the satisfaction of the Courts and ensure schools open this fall. Focusing on that effort should be the singular focus of the Legislature. 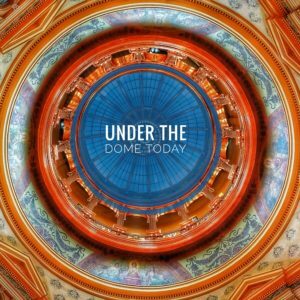 Today’s activity under the dome may indicate representatives are moving towards a compromise. Still, this situation is very fluid and as we’ve seen in the very recent past, anything is possible. After the new bill is introduced into the House it is expected that Legislators will return to their home districts for the weekend and resume work on the bill on Monday. 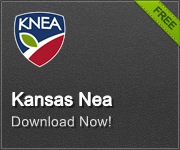 KNEA will continue to maintain a presence in the statehouse and report on activity through Under the Dome. Take any opportunity you have to reach out and contact your representatives. Tell them that their singular focus should be to pass a clean funding bill which fulfills the Supreme Court’s ruling on equity. The Kansas Senate has its own nearly identical version of HB 2001 titled SB 1. While many in the Senate pushed for Senators to focus on that bill as it is their Constitutional duty to do, Senator Jeff King instead introduced a Senate Resolution. The Resolution would allow a statewide vote on a Constitutional amendment stripping the Courts of the power to “threaten to close our schools” as Senator King reiterated. The proposed amendment failed to get the required 2/3 vote necessary to pass the Senate. The Supreme Court has simply followed its lawful procedure in this case. After taking the case brought before the Court upon complaint of citizens, the Court ruled that an unconstitutional and unlawful funding condition exists relative to Kansas public schools. One part of that condition is equity. The Courts ruled that the Legislature would have until June 30, 2016 to resolve this unconstitutional condition or the Courts would be forced to suspend the distribution of funds to an unconstitutional system. Closing schools is one possible outcome caused by the failure to address the unconstitutional aspects of the formula.